PubMeth focusses on methylation data, found in the literature. How was it created? It is built with the power of textmining, a good start to obtain complete, up-to-date records. 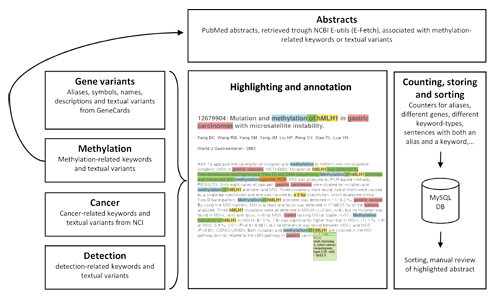 multiple aliasses of a gene are searched, as a whole bunch of methylation-related keywords and detection technologies.